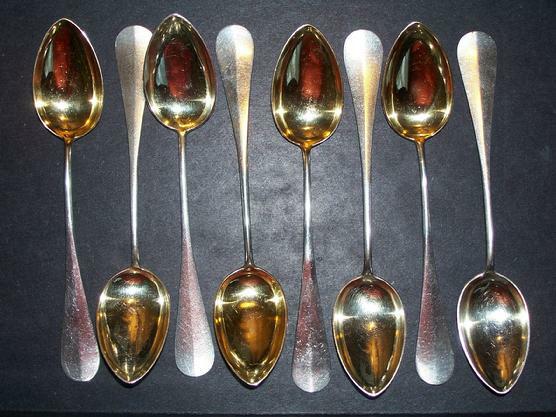 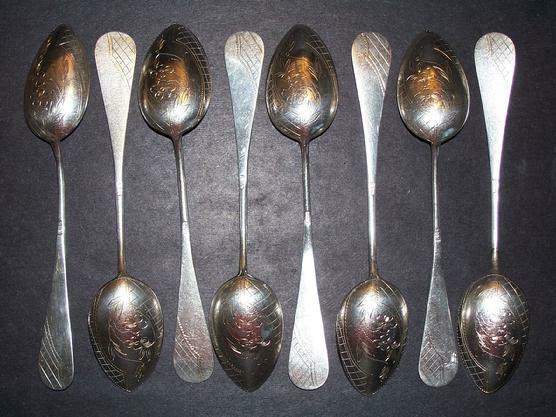 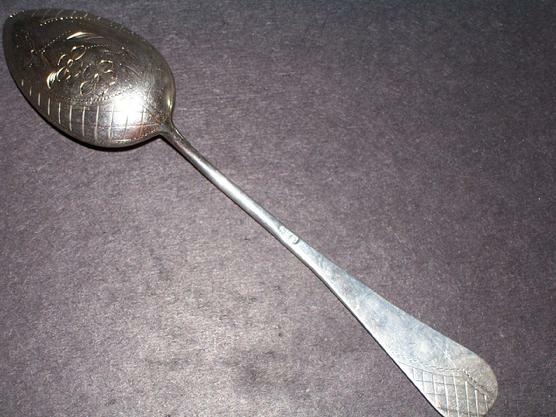 Russian Imperial silver set of eight gilded spoons. 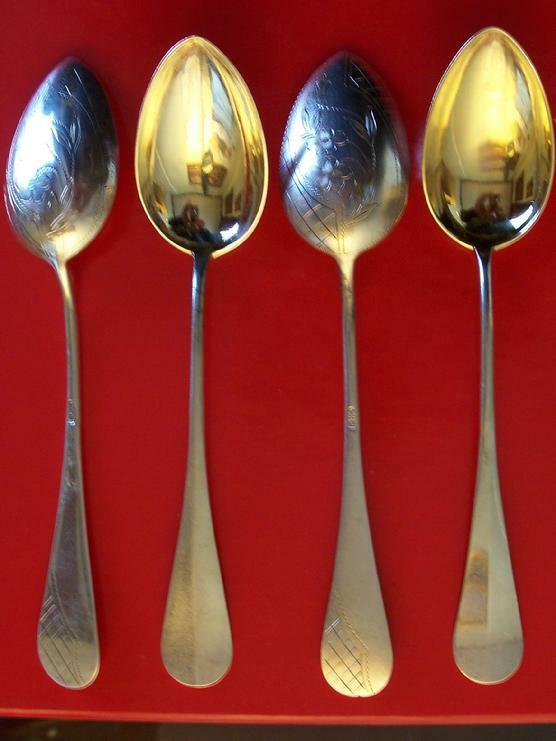 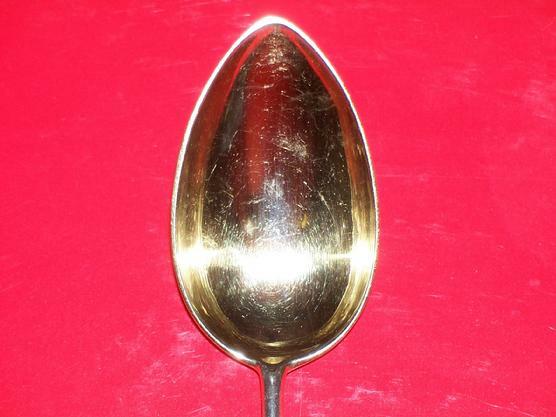 each spoon hallmarked with 84 silver standard. 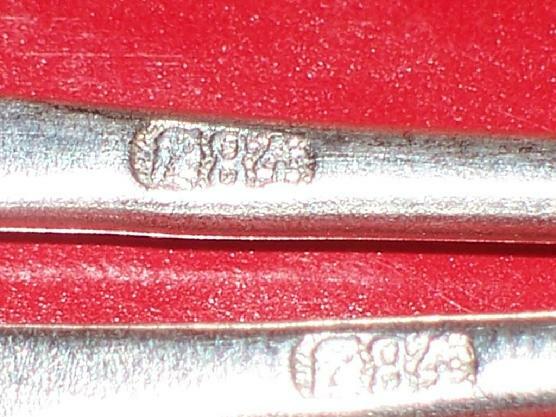 and polish by a jeweler. 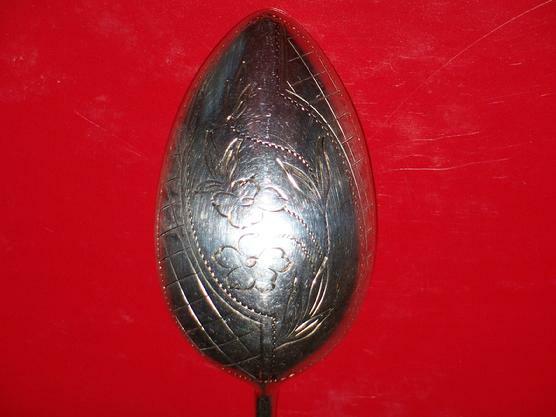 Size: 5 3/4" ( 15 cm ).